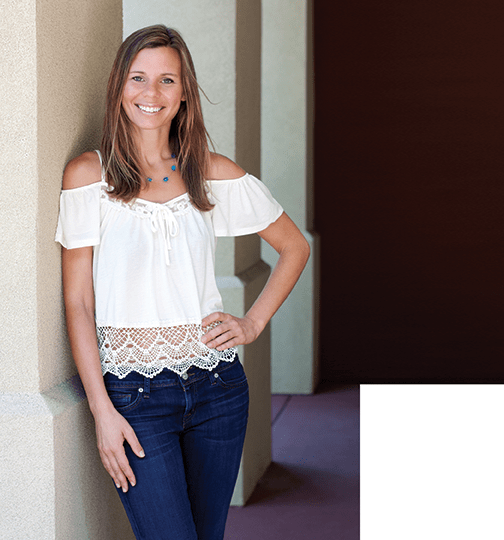 Whether you realize it or not, Kelly Brainard and her staff are working hard to make sure your garden will thrive all year long. 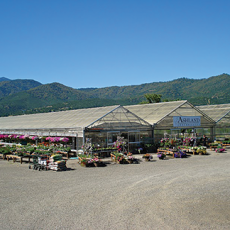 Offering 100% locally grown bedding plants, vegetable starts, herbs, baskets, and soil amendments, Ashland Greenhouses has been providing local gardeners with the education, materials and expertise to make their yards and gardens truly great for over 109 years. 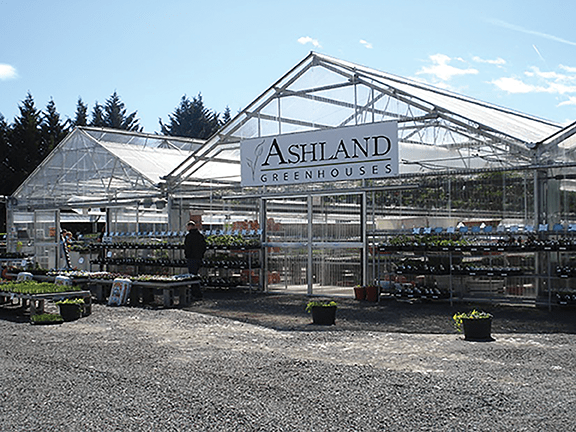 When we caught up with Kelly recently to hear about what’s new at Ashland Greenhouses it was hard to imagine how she had the time to stop to talk with us. April and May are their busiest months. Between transplanting hundreds of thousands of plant starts each week, Kelly and her staff of 25 lead tours, teach classes, and hold events. 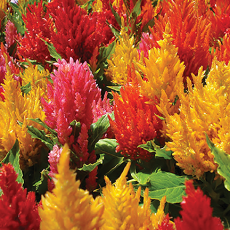 They do their best to ensure that wholesale, residential and commercial customers throughout Southern Oregon receive the highest quality, locally grown plant products available anywhere. Their plants are currently sold to local, independent retailers selling plants here in Southern Oregon and their community connections run deep. 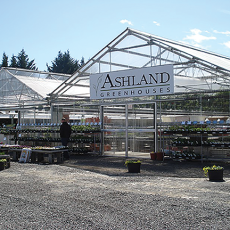 Read on to learn more about the amazingly successful Ashland Greenhouses. Kelly it’s great to talk to you again. 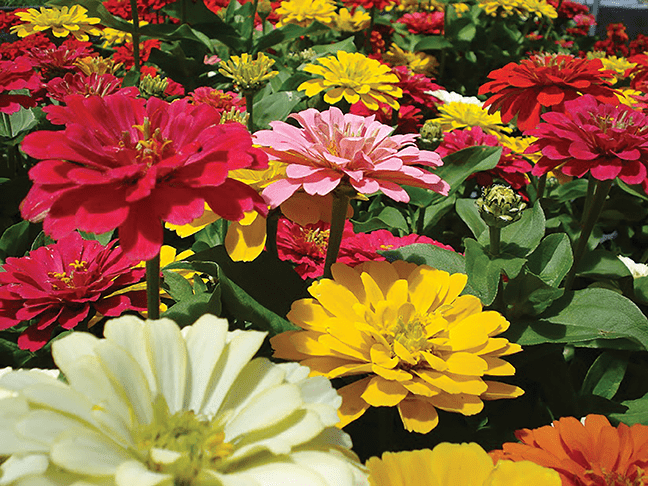 Tell us how things are going at Ashland Greenhouses this spring. Great. We’ve already been really busy thanks to the early warm weather. Our community events have been getting more popular and we continue to be amazed at how many new gardeners we meet each season. Currently we are at the peak of production and sales, transplanting and moving out hundreds of thousands of plants each week. Wow! This is a really busy time of year for you! I understand that you have a number of organizations that you support as well. Yes, we do our best to support our local community and build strong relationships within it. 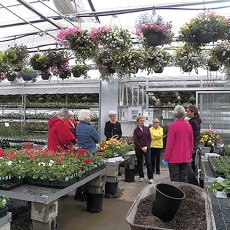 Throughout the year we work with a number of organizations including all of the local garden clubs, Soroptimist, PEO, Eagle Point Women’s Club, OSU Extension, Master Gardeners, Rotary, Access, Jackson Co. Schools, retirement communities, and many more. We provide things such as fundraising opportunities, private tours, classes, assistance with gardening programs, and donations. I also attend a lot of club meetings to give presentations when asked. When we think about how many organizations with work with it really is amazing to have such great connections throughout the valley. My goal is always to encourage and educate as many groups as possible about gardening. When working with young new gardeners in schools and avid gardeners in large clubs it is always rewarding to know that there are so many people that want to continue educating themselves about a life-long skill and hobby. 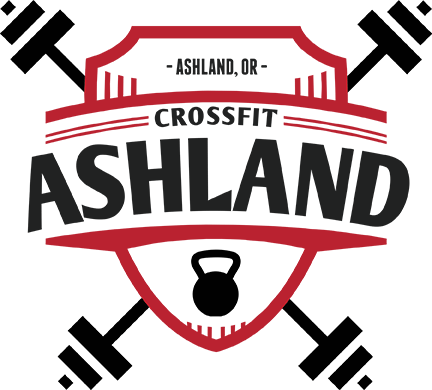 Strong community connections seem to be of high value to you all at Ashland greenhouses. We feel very strongly about the community having a personal relationship with the business and feeling as though they are a part of it. Through our events, tours and classes we try to inform people what we are about and how we can encourage them to have continued success with their gardening. When people know more about your business and your motivations behind it, choosing to support you is easier. For example we use our newsletters and classes to teach people about what will perform best in their gardens and often times it opens the door for them to give us feedback. 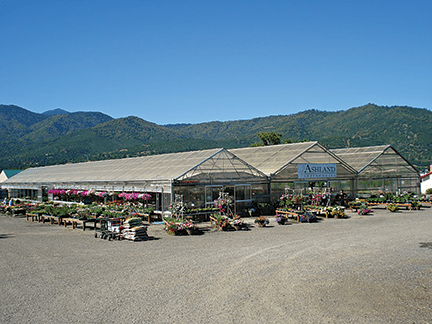 There are many plants that we grow here at Ashland Greenhouses that are the direct result of a customer’s success or suggestion. My goal as a nursery owner is to provide a product that is going to make the customer happy and will do well in our area. 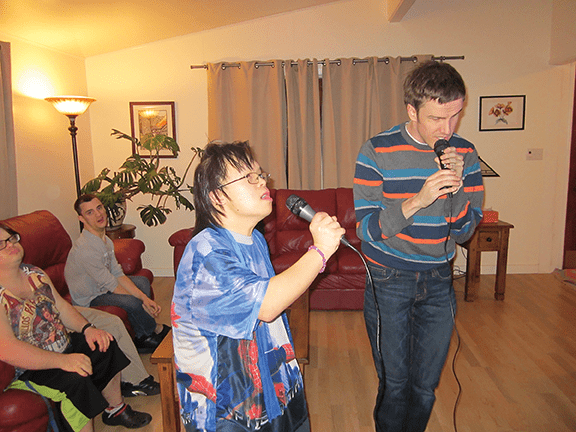 Another way we build connections is through our tours. They can be very inspirational because customers get to see so much color and variety and get an inside look at the operations of the business. They allow for a more personal experience as tour members get to spend quality time with myself and other members of the staff within production, wholesale and management. Seeing one basket is nice, but seeing thousands along with the people that make it all happen is a completely different experience. 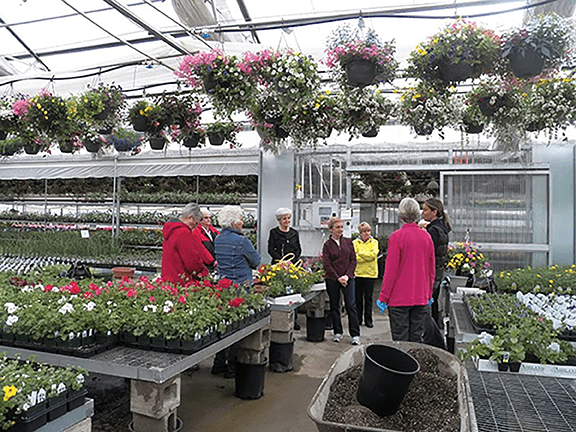 Last year we had a tour group from a local retirement facility come through in the spring that got to see a greenhouse filled with baskets being grown specifically for their facility. The baskets were huge and in full color. The residents loved seeing them in the greenhouse environment and really felt like they had a connection with the business. Even after the baskets had been delivered we would have residents coming in throughout the summer informing us of how the baskets were doing and how much more they appreciated them after seeing them on the tour. Those moments are the ones that build strong relationships within our community and help us to better serve our customers. It sounds like your work allows you to be involved in so much more that just growing plants. Tell us more about your thoughts on this. I do love growing the plants but I also love talking to people who share the same passion or are interested in trying gardening for the first time. Gardening really is therapeutic on any scale. Even if you simply have a few nice containers on your front patio or window box it really is relaxing to observe and take care of them throughout the summer. Something I always try to convey during tours or when I’m speaking to groups is that gardening can be very rewarding and fun. We are all learning from each other about what works and what doesn’t. There are so many variables involved with gardening which are often times out of your control, primarily the weather. I’m always telling people that you can do the exact same thing twice, two years in a row, and have completely different results. The challenges are never a bad thing; it’s just learning how to work around or with them rather than becoming frustrated. It’s important to also know that sometimes for whatever reason it just doesn’t work and although you may not have success with one plant doesn’t necessarily mean it’s your fault. Failure isn’t always a bad thing. I don’t know any great gardener who hasn’t had something fail in their landscape. I like to think of it as a great opportunity to try something different. It’s also exciting to see new faces each spring of those people who are just dipping their toes in for the first time. There’s a lot to learn and it can be overwhelming but I enjoy talking to them about what will do best for them. That’s what education is all about and how we continue to learn from each other. When they come back so excited because a plant performed better than they expected it makes me so happy. I also like the relief I see on a gardeners faces when I can solve a problem for them. I want all customers to leave excited and never feel stumped or defeated. What results do you see as you spread this important message? 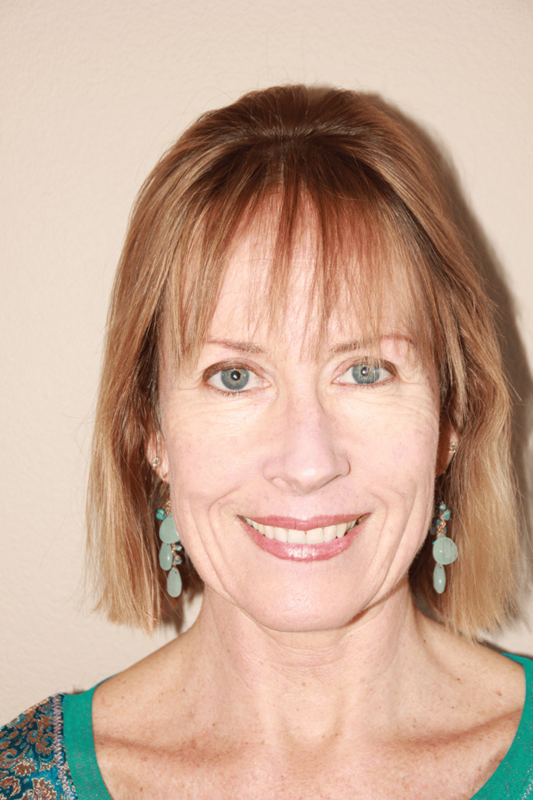 People are grateful for the advice and they continue to be loyal customers. Getting over gardening hurdles also leaves them willing to try new things. Over all it makes everyone have more fun. Gardening is something we do because we love it. 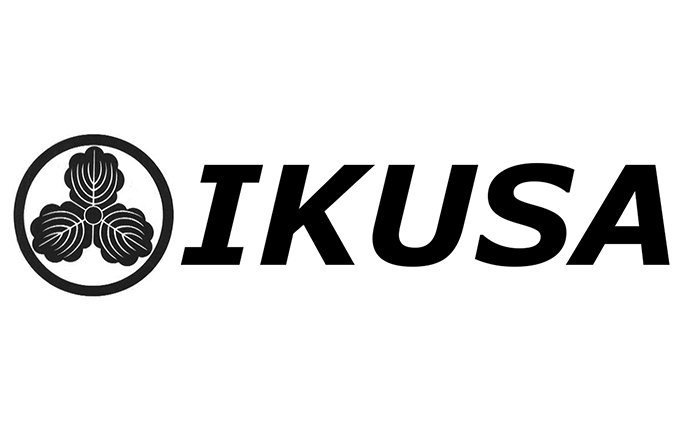 I do the best I can to keep it from feeling like a chore by providing only the highest quality product and doing my best to educate those who need a little help. 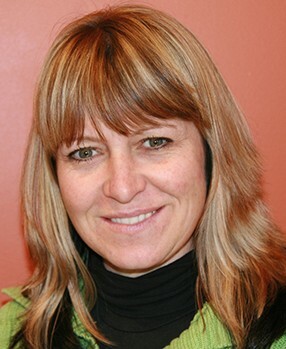 You were a teacher for years prior to taking over Ashland Greenhouses, Kelly. How does this tie in to your work now? 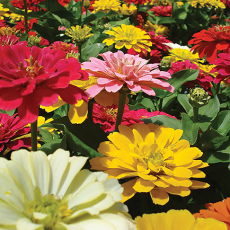 We continue to work closely with a lot of schools in the valley by helping them with their own horticulture programs, hiring students involved in the horticulture programs, advising them on plant material to grow for their own plant sales, and more. It’s exciting to see young, new gardeners in the making. I’ve always loved teaching and am fortunate to be able to continue being an educator in the field of horticulture here at Ashland Greenhouses not only with the schools but also with the community. 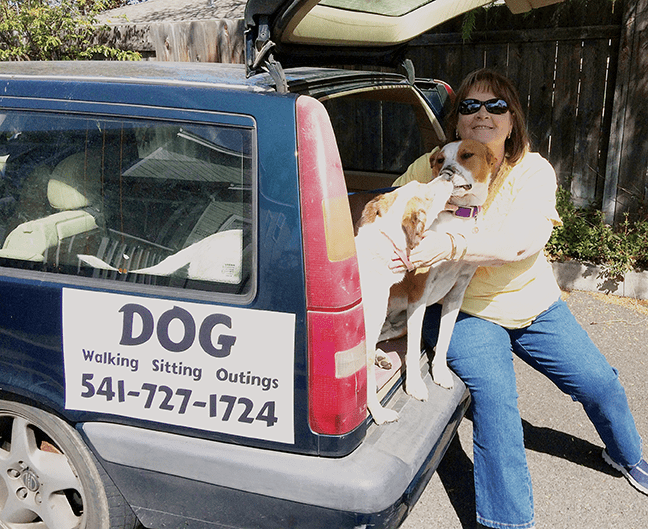 Your classes have become quite popular among locals and are filling up. What’s on the schedule that readers have to look forward to? 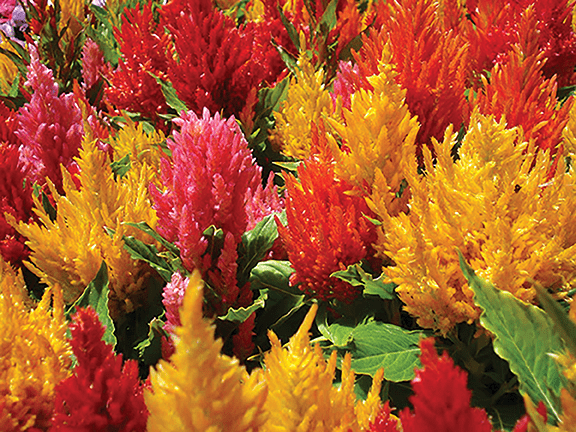 Our next class is our “Heat Lovers Class” Thursday, May 28th where people will learn about combining colorful plant material that will continue to do well during the hottest part of the summer. Registration is required as seating is limited so make sure to call ahead to sign up. After that we’ll have our annual “Ladies Night” Wednesday June 17th. It’s afterhours from 5pm-8pm and is a great time to socialize, enjoy some great appetizers, refreshments and special pricing exclusive to the event timeframe.